“It’s a second-screen experience that we hope makes watching the broadcast even better,” wrote Product Manager, Steve Kafka in a post. The social network is apparently aiming to replace other social networks, particularly Twitter, which sees a lot of real-time discussions and commentary during games. Often the tweets are viewed woven together as Moments, a feature Twitter launched in October. 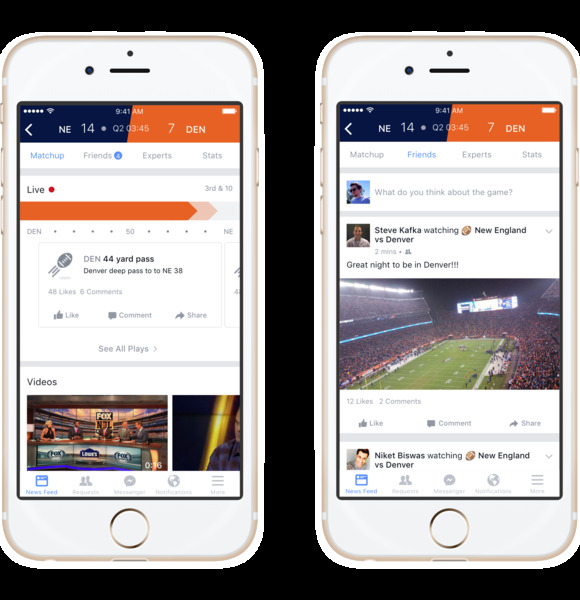 Facebook said late Wednesday it has rolled out its virtual stadium in time for the American football games, but plans to soon offer other sports that are popular around the world, like basketball and soccer. The company claims it has 650 million sports fans on its website. 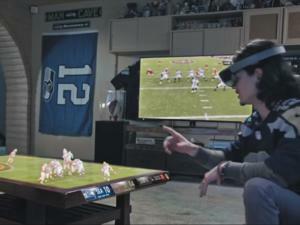 With the new virtual stadium, all the content on the social networking site relating to the game, including posts and comments from friends on the plays, and comments from experts such as teams, leagues and reporters will surface in real time and chronologically, according to Facebook. The feed will also include live scores, statistics and play-by-play, besides game information such as where to find the game on TV, Kafka wrote. The service, which is available on Apple’s iPhone in the U.S., will be extended to other platforms in the coming weeks, he added. The Stadium, which is being launched for the National Football League (NFL) playoff games, will be available on desktop for the Super Bowl and will come to Android in a “matter of weeks,” a company spokesperson told Re/code. Facebook, which doesn’t have a content partner for the launch, is licensing game data from a company called Sportradar, the news site said.